Race against time as the clock ticks from $1 per copy. 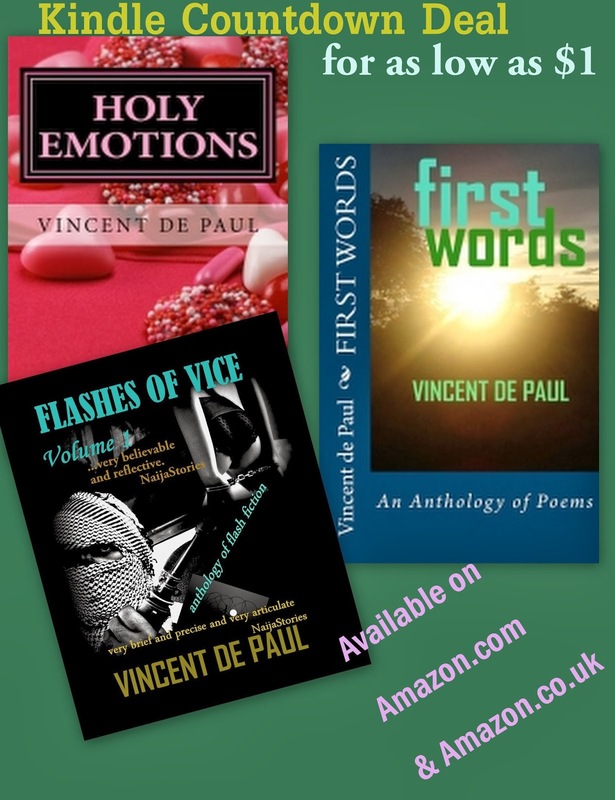 My books, First Words, Holy Emotions and Flashes ofVice: Vol 1, would be on limited promotion for up to seven (7) days from 13th – 19th December, 2013 and 23rd – 29th December, 2013. The books will be discounted up to 68% off on cover price between the first hour and seven days for purchase. The books will retail for as low as $1 and start counting up. Hurry as the clock ticks towards more dollars. The books would be available on Amazon.com and Amazon.co.uk. Click Here to go to my Amazon page and grab yourself a copy. Tick Tock, the clock is ticking!!! !